There’s something to be said about the power of positive thinking. Both Alex and Mary are learning this first-hand through BOLD, a 7-week Keller-Williams seminar they’re attending, with the goal of being better agents for their clients. What they’re learning is so useful, much of it extends into everyday living for the better. One recent takeaway Alex and Mary want to share is to be BOLD. This approach encompasses the idea of retaining a Business Objective through a Life by Design. Simply put, those who take the BOLD approach are choosing an abundant life through a life-transforming journey towards personal self-improvement, which can be applied to all aspects of life. In addition to being BOLD, both Alex and Mary have embraced what many have already discovered for themselves, the power of positive words. 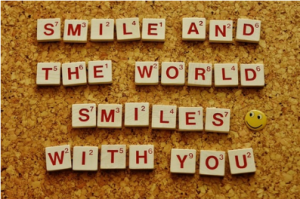 Words have such deep meaning behind them, even the simplest of words can have a huge impact on how people perceive you, how you perceive and experience the world, and how well things can go in any given situation. One example is the word BUT. When you include “but” within a statement it’s actually a negative conjunction, setting the reader or listener up to have a negative aspect pointed out. Just this small change makes a big difference in how positive your approach can be, which brings with it more positive experiences naturally. Alex and Mary have pledged to remove negative words from their repertoire in an effort to better, more positively serve their clients, be they from the past, present or future. There’s another negative word Alex and Mary pledge to remove from their vocabulary, and that’s TRY. This work is really an excuse and complaint in its core meaning. When you say you’ll try to do something it sets up an expectation that failure could happen, which is a negative approach. It also has a tone of complaint behind it. Be sure to watch this week’s video from Alex and Mary to discover just how negative complaints are, what they will DO instead of TRY. 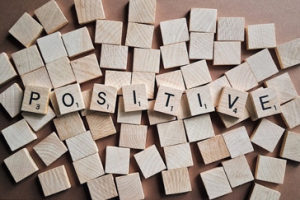 In order to actively practice their new-found positive words approach, they would love the chance to connect with you directly, and/or with anyone you know whom is in need of a positive, experienced real estate agent. When it’s time to sell or buy in any Beltway community, work with a local, experienced realty team. Alex Pachedzhiev and Mary Anthony have the real estate know-how to help guide you towards meeting your goals and being happy with the results. Learn more at Keller Williams Beltway Homes, then contact us directly by phone (703) 495-3283, or email at alex@beltwayhomes.net, to get the conversation started.